Opening hours: Shops are generally open between 9 am-1 pm and 3 pm-7 pm. Nowadays there are many shops also open during the lunch break. 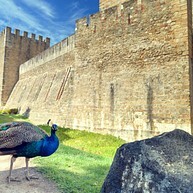 São Jorge Castle is one of the oldest structures in Lisbon. This was once a fortress (taken from the Moors in 1147), and now a must-see landmark with a fantastic view of the city. In Belém, situated west of the city along the river, lies Lisbon’s and possibly Portugal’s most important historical monument. 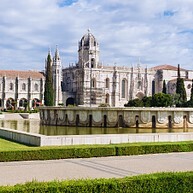 Here you can see an opulent church and cloistered garden built in the elegant Manuelian style at the beginning of the 16th century when Portugal was a great seafaring power. There are several other sights close by. National Tile Museum is devoted to the tiles which are so typical in Portugal, housed in a monastery whose varying building styles and decorations give a good summary of the country’s history. One of the high points is an enormous tiled fresco which shows Lisbon as it was just before the big earthquake in 1755. The largest single cultural institution in Portugal was founded in 1955 when Calouste Gulbenkian, the Armenian oil millionaire, donated his estate to the country that had welcomed him during World War II. The museum, constructed in 1969, which houses his extensive collections, is part of a larger complex that includes concert halls, a park, restaurants and a museum of modern art. The area where Expo 98 was held has been successfully transformed into a centre for exhibitions, leisure and culture. The extensive amount of building since the Expo almost overshadows pearls such as Siza Vieira’s Portugal pavilion and Santiago Calatrava’s adjacent Oriente Station. This is one of the biggest aquariums in Europe and it shows more than 100 different species. Some of the animals that are exposed here are barracudas, tuna, sharks, rays and one of the most popular attractions is a large sunfish. This is an adventure for all ages. When you are tired of the city vibe and long for the sea, surfing could be a good way to relax and do something else for a while. One of the surfing companies located in the city is Epic Surf School, which holds courses for both beginners and advanced. The Jesuits built this church in 1574 and its interior is breathtaking. One of the world’s most expensive chapels, covered in gemstones, marble, mosaics, gold, silver and bronze, is to be found here. 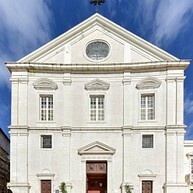 It was built by 130 artists in Rome, and then transported to Lisbon after the blessing of the pope. To get a panoramic view of the city you can take the Gloria Elevator from Rua de São Pedro de Alcântara up to the garden, Miradouro de São Pedro de Alcântara. Here you can take a stroll between sculptures and busts of heroes and gods from Greco-Roman mythology. 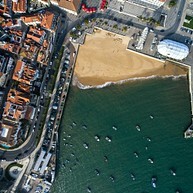 For a day out of the city you can take the train to the former fishing village of Cascais. Here you can stroll on the beautiful decorated streets, experience the lively fish auction held every afternoon next to the main beach, visit "Museu do Mar" to see the rich history of Cascais or take a refreshing walk along the coastal road to Boca do Inferno ("Mouth of Hell") where high waves crash into gigantic caves. 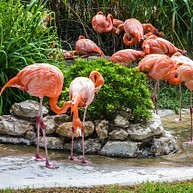 Lisbon zoo is located right in the city centre and here you can see over 360 different species. There is always something happening in the park and this is a fun activity for both children and adults. 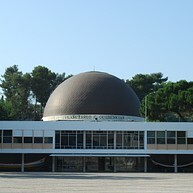 This science centre is one of the remains of 1998 World Expo. It was first built to focus on the mysteries of the oceans, but today it provides permanent exhibitions in chemistry, physics and other science subjects, mainly for the younger crowd. 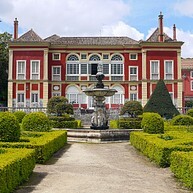 This Renaissance palace, still inhabited by the 12th Marquis of Fronteira, is shown to the public through guided tours. It was built as a hunting pavilion in 1670, for the first Marquis of Fronteira, one of the most powerful families in Portugal, at that time. 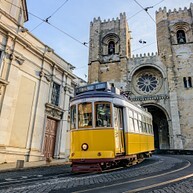 The trams have transferred people through the city of Lisbon since 1873 and even if today it competes with the metro, it is still a perfect way to see the city and to get an overview. Tram number 28 is an old-fashioned vehicle that goes around town and you can hop on and off during your trip. With inspiration from the famous statue in Rio de Janeiro, this 28 metres high Jesus Christ statue was built in 1959, as a memory for gratefully being saved from too much damage, during World War II. Take the elevator to the top and enjoy a stunning view of the city. 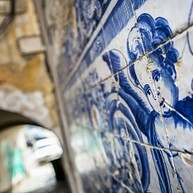 The Lisbon Escape Game is a great activity for 2-5 friends looking for an exciting and unusual activity when in Lisbon. 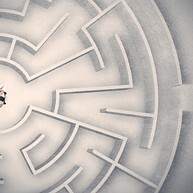 You have 60 minutes to find your way out, are you game?